Needless to say, after Zou Liang looked over the familiar room, he felt a sense of home. In the past, he and Ou Nisi Te were unwanted children that did not know what each hour would have in store for them, but this did not matter now that they had the temple they could return to. Zou Liang satisfiedly nodded his head. He needed to motivate Ou Nisi Te from time to time; this child was too honest, and at this age if someone was not ruthless, it was easy for them to be bullied. In the beastmen’s world, everything was based on your faction or your birth status. Each occupational guild was effectively completely different from the others1 but they all focused on increasing one’s strength, and with Ou Nisi Te’s current situation he would definitely obtain a seat in the Crusader’s Guild. Zou Liang needed to make it so that his brother became a name that shook the world and was definitely not a foot soldier; if Ou Nisi Te was to be bullied, only Zou Liang was allowed to do it. After some slight tidying up, Zou Liang went to find his cheap master. “So this little one still remembers that he has a Master,” Tuo Ma Si laughed. For this smelly brat he had put many things on hold. “What ‘promoted’? That kind of thing is the decision of His Majesty The Pope and cannot be randomly spoken!” Tuo Ma Si glared; this disciple of his was extremely daring to say such a thing. “Master, has it been rough?” Zou Liang keenly sensed that the situation did not seem to be as good as he had thought. The large contribution of the Dual-Engraving Technique should have been enough, and there wasn’t a more glorious achievement heard anywhere else. Tuo Ma Si scratched his head but did not consider this issue alongside Zou Liang. Even if Zou Liang knew some things, the brat would be powerless to do anything. After leaving the room, Zou Liang did not give up. He and Tuo Ma Si were grasshoppers on a single thread, and after experiencing these things he began to feel the importance of birth status. As Tuo Ma Si’s disciple, the more amazing Tuo Ma Si was, the better his own status would become. Zou Liang was determined to win over the Red-Robed Head Priest position. He and Ou Nisi Te both had their own rooms, and though being by himself was a little lonely, it was more convenient for Zou Liang. Ou Nisi Te’s snoring was slightly frightening, and sometimes if he had too many thoughts, it could be hard for him to fall asleep. Zou Liang had moved his stuff over and naturally his favourite was still his “desk lamp”. With Ao Li Quan Ya’s absence, a lot of things had happened and Zou Liang could not fall asleep, and he also wished to test out how much change he had undergone through the month or so of his trial by fire. A sound that pierced the clouds resounded by his ear. It was indeed the time of the Spring Festival and there was a large influx of the numerous beast tribe members entering the Beast Spirit World. The Beast Spirit World indeed felt a bit overcrowded, and the battles were fiercer than they had been in the past. All sorts of roars would normally be very noisy, but instead it was like a strange music that poured into Zou Liang’s heart. This was comfortable; truly comfortable. The beastman world was still the best. After a month of inhumane living, Zou Liang felt as if everyone was very kind and gentle. “Brethren, could you please make way?” Zou Liang called out; he did not wish to waste too much time outside of the arena. Every martial arena was full and the battles were boundlessly fierce. Not only were there the few large families that were often seen, but there were even a lot of the rarer tribes as well. It was clear that they were more cautious and had practiced hard, waiting for this kind of chance to earn themselves some Beast Spirit. Even the caliber was noticeably higher; most had a few pieces of equipment, and people who owned an entire set of plain-grade armour could be seen everywhere. These youths were the pride of the Meng Jia Empire, the pillars of the future. Right now, they were all struggling for their futures2. Due to everyone’s feverish state3, no matter what kind of pretty words Zou Liang said, not even one person turned their head. Since he had arrived late and was on the outskirts, the time he squeezed himself through would never come. On the battle arena, there was a howl to the sky from time to time. It was an extremely grand feeling; victory was far too important to the growth of a beastman. A large howl sounded over all the noise. On the arena around fifty meters away, an enormous Berserker howled, shaking the sky and momentarily suppressing all of the sound in the area. What beastmen strived for was reputation and it was clear that this Si Kade had achieved it. Any beast tribe warrior who had won enough consecutive wins would give himself bonus credit and their respective guild would reward them, naturally with items of genuine value. The Bi Meng tribe had strength that exceeded the Bi Er with boldness and power greater than the Lai Yin and Tai Ge tribes. Their attack and defence was a concern, and despite their massive body their speed was not lacking, either; their attack and agility were so high that it left people frightened. Taken all together, it was a beastman in the shape of a perfect weapon, but when the Beast God bestowed upon them their strong body, it had also snatched away their intelligence. The Bi Meng tribe was also scarce in number and they were unable to obtain any governing position in the Meng Jia Empire but—due to their ability and the characteristics of devotion they were born with—they were something that the large family tribes fought over. In a low-grade battle situation, a Bi Meng warrior was a symbol of invincibility. Beastmen youth longed for battles filled with danger, and if they were able to claim victory over a Bi Meng warrior, they could definitely scatter their name across the world. Some Archer and Shadow Hunters had wanted to try—especially eagle tribe archers—but they quickly realised an extremely life-threatening issue: the Bi Meng tribe was the strongest weapon of the beast tribes and were born with the Deterrence similar to that of a demon beast. Even though this Deterrence was not strong, in crucial moments it could suppress their movements, to say nothing of the Bi Meng’s jumping ability that was also formidable. The beast tribes with the abilities to soar would have rather slow movements and would instead become easier for the Bi Meng to kill. Even if they were to fly higher, their attacks would not be enough to kill a Bi Meng warrior, and once their stamina had been worn down and they landed, the conclusion would have them torn into pieces. A Bi Meng after Beast Transformation would actually have strength even more astonishing than the widely renowned bear tribe, as the consecutive battles had already proven. His body had practically zero weaknesses and there was no hope even if the opponent was to seize every opportunity. 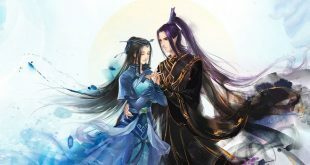 The Shadow Hunters would be the most miserable; they had originally thought they could settle it with agility, but they found that even though there was no comparison between the Bi Meng’s speed and their own, Bi Meng were still not lacking in this area. In the moment of attack, those claws would tear a plain-grade Shadow Hunter apart. Si Kade echoed out again like a bronze bell, his eyes filled with boundless arrogance. This was the innate character of the Bi Meng tribe: they despised every other tribe from the depths of their bones and believed that their own tribe was the strongest under the Heavens. In reality, the gold-grade Bi Meng tribe held an undeniable advantage. Though there visibly wasn’t a lack of experts in the vicinity of the stage, it was a foolish thing to fight with the Bi Meng warrior atop the arena. If it was in a complicated or open terrain, the amount of people with the strength to fight would not be few, but on the battle arena, the Bi Meng held too much of an advantage and could display his combat strength like a machine. “Let me, we can’t let this Bi Meng junior be too unbridled,” Mo Fei4 said. After he entered Berserk Mode, he would be this guy’s match. A Berserker warrior truly did have the strength to resist that of a Bi Meng.